New Delhi on Friday announced a plan to make air travel affordable for millions more Indians, with schemes to revive ailing airports and connect rural areas that it said would "take flying to the masses". The long-awaited draft policy aims to bring down airfares to 2,500 rupees ($40) per hour of flying on many regional routes through a slew of tax incentives, subsidies and a two percent levy on international and some domestic routes. It outlines plans to revive India's dilapidated airports and airstrips, of which only about 75 out of 476 are in regular use, and setting up a fund to improve access to rural areas. Air travel in India is mostly confined to the third of the population that lives in cities, putting it out of the reach of hundreds of millions. "The prime minister has said... it should be a policy which takes flying to masses, it should no longer confine flying only to the elite," Secretary for Civil Aviation Rajiv Nayan Choubey told reporters. 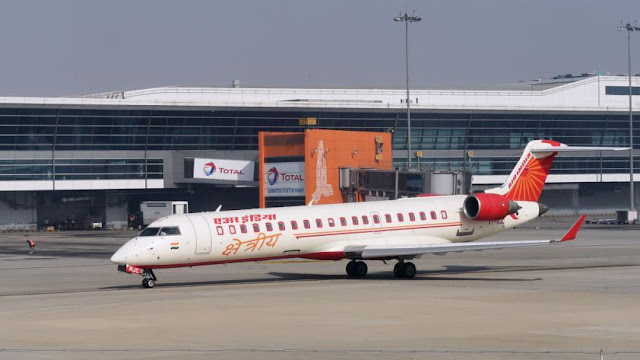 “We should promote regional connectivity in a manner which makes it possible for the ordinary middle-class Indian to start flying," Choubey said, adding the scheme would start in April 2016. "We will be giving several incentives in order to bring down the cost of flying as much as we can." Only 70 million of India's 1.2 billion citizens flew domestically in 2014-15, according to the Sydney-based Center for Asia-Pacific Aviation (CAPA), making it one of the world's most under-penetrated markets. The government said it aims to increase domestic ticket sales to 300 million by 2022 and 500 million by 2027. The draft National Civil Aviation Policy, which looks to overhaul rules dating back to the 1930s, has been submitted to stakeholders for review. India's aviation industry has criticized the government in the past for failing to reform the heavily regulated market. With the exception of budget carrier IndiGo, most domestic airlines are suffering losses and are mired in debt. "There are a number of rules and regulations that restrict airlines, or force airlines to operate in ways that might not be very commercially viable," Binit Somaia, South Asia director at CAPA told AFP last week. The draft policy contains steps to reduce red tape, including a plan to deregulate charter flights -- which do not follow a fixed schedule -- into and within India. And it moots allowing "completely liberalized" code-sharing, where an airline sells seats on a flight run by another carrier. The government is also considering scrapping or amending the "5-20 rule", which requires local airlines to operate for five years and have a fleet of at least 20 planes before they can fly internationally. However, some Indian airlines are opposed to scrapping the 2004 rule, saying it would favour cash-rich international airlines coming into the domestic market. The move to increase flights -- which are far more carbon-intensive than trains -- may clash with Prime Minister Narendra Modi's environmental commitments, including a plan to cut emissions intensity by 35 percent by 2030. The draft policy said the government would work with industry to make airports carbon neutral in 15 years' time and pursue limits on emissions from airplanes. India's aviation sector has undergone rapid transformation since a liberalization drive began in 2003, but it still ranks tenth in the world. Talon Air has been issued fixed-base operator status at Republic Airport in East Farmingdale, making it the third company at the general aviation airport that's permitted to sell fuel to airplanes. According to airport manager Shelley LaRose-Arken, who announced the news at a Republic Airport Commission meeting last month, Talon was issued FBO status by the state Department of Transportation, which owns and operates the airport, on Sept. 23. Talon officials said they first submitted paperwork to become an FBO on March 15, 2012. "It's taken a very long time to get done, a lot of patience and a lot of fortitude," said Talon CEO Adam Katz, adding that the state attorney general, state comptroller's office, Suffolk County and the Federal Aviation Administration also had to approve Talon's FBO and/or fuel sales. "It took a much longer time than I thought it would." The nearly four-year process cost $5 million, Katz said. Katz said he saw it as one of the last frontiers for Talon to tackle as a full-service charter company. "I also thought I could bring competition and more jobs to the airport, which would benefit everyone," Katz said last month. According to aviation website AirNav.com, Talon's fuel prices currently sit well below the company's competition at Republic, fellow fixed-base operators Atlantic Aviation and SheltAir Aviation Services. Neither company returned a call seeking comment. The ability to sell fuel is usually seen as the chief financial perk of earning fixed-base operator status, and Talon will be home to a 90,000-gallon fuel farm containing two 30,000-gallon jet fuel storage tanks and a 30,000 AvGas storage tank, complete with a backup generator. AvGas is sold to turboprops and smaller, general aviation aircraft, Talon officials said, and jet fuel is used in small to midsized jets used for charter services. Talon will also be able to provide hangaring, tie-down and enhanced maintenance services at its flagship location at Republic. The company said Talon's FBO is expected to add 21 new employees to its workforce. At the Republic Airport Commission meeting last month, one pilot expressed enthusiasm for Talon's low fuel prices. But another audience member questioned whether there is enough business at Republic, which has seen declining general aviation operations, to support three FBOs. Talon's newly permitted services also include conference rooms, lounges, a flight planning center, helicopter transfer service, and "the only FAA approved Part 145 Maintenance Service Center located at Republic Airport" -- a highly regulated maintenance facility that can provide a repair and maintenance services to the flying public at retail, company officials said. Frank Nocerino, chairman of the commission for 20 years, said the group was not informed of Talon's application to become an FBO until at least a year after it was filed. Though Nocerino acknowledged the commission has no jurisdiction over FBO approvals, he added, "it's not fair to the community -- and they don't have to agree, the community. And we don't have to agree. But at least be upfront and be forward on everything." Talon officials said it is the duty of the DOT to inform Republic officials when a FBO application has been submitted. Katz also said he is interested in developing the six parcels of airport land that the state is currently marketing for long-term leases and hopes to eventually provide additional aviation services on that land. "More facilities for light airplane users, general aviation users, more facilities related to flying -- hangars, parking," Katz said. "I'm excited about the fact that the six surplus parcels of land at the airport are being brought to market by the state . . . that provides the opportunity for people who are interested to bring their ideas and bring their concepts, and that process will go forward." 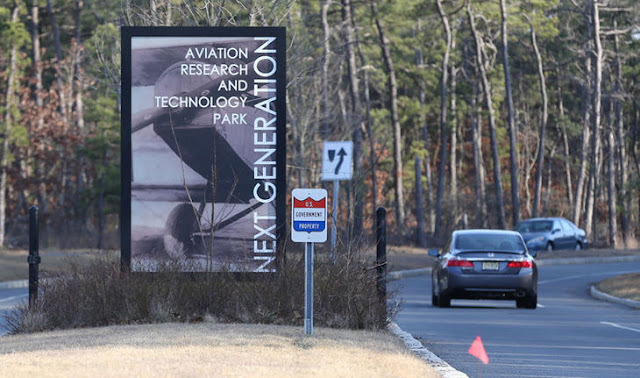 Entrance to the the Stockton Aviation Research and Technology Park, formerly known as the NextGen Aviation Research and Technology Park, in Egg Harbor Township, New Jersey. Joseph Sheairs, the new executive director of the Stockton Aviation Research and Technology Park. 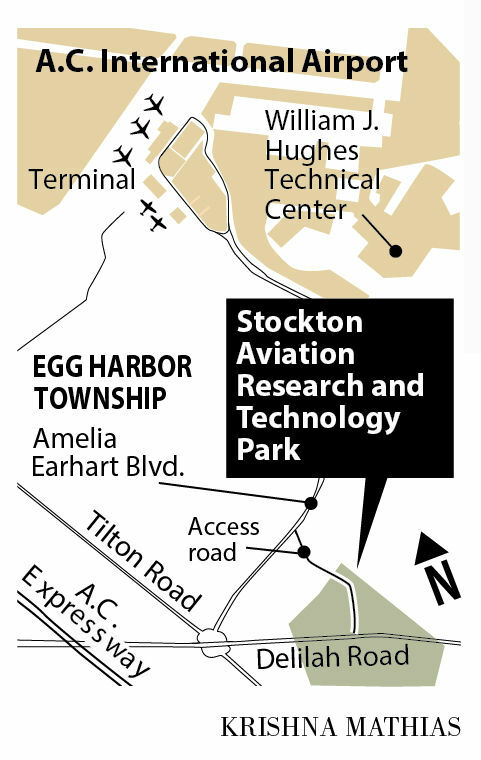 EGG HARBOR TOWNSHIP, NEW JERSEY — The long-stalled Stockton Aviation Research and Technology Park may qualify for the state’s highest level of tax breaks, finally allowing it to attract companies such as Lockheed Martin and Boeing, according to its director. 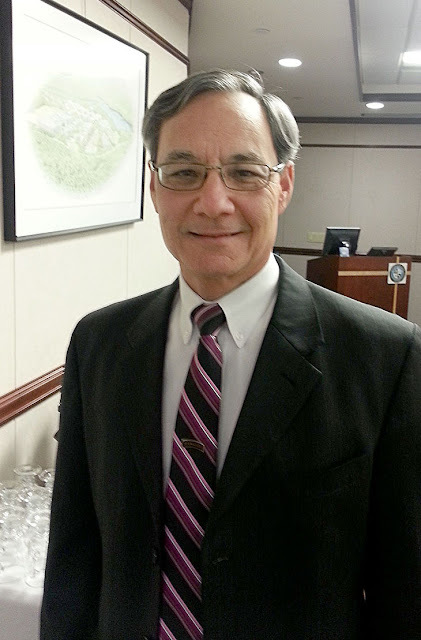 Park Executive Director Joseph Sheairs said the New Jersey Economic Development Authority recently approached him and is willing to look at treating several businesses expected to move in as one entity. That would give it “mega project” status and allow it to offer the same incentives to businesses as those offered by Garden State Growth Zone cities, making the location more competitive with less expensive areas of the country. Companies could earn millions in tax credits to offset higher rents. NJEDA spokeswoman Rebecca Nelson said Thursday that the authority does not comment on specific situations prior to board action. “We think it is fantastic but are still looking for the details,” Sheairs said. Previously, it appeared each business that moved in would be treated separately, and most would not meet the 250-employee, $20 million capital investment threshold. One Atlantic County official doesn’t want to stop there. Freeholder Chairman Frank Formica is pushing to have the entire airport property and a mile out from its perimeter designated a Garden State Growth Zone. That way, businesses of all sizes and types could get the incentives, he said. But state Sen. Jim Whelan, D-Atlantic, is skeptical about adding the airport to the list of GSGZs. Even if the research park gets special status, Formica said the designation would be important for the entire airport area. “Remember, only certain businesses can locate in that park, under FAA restrictions,” Formica said. They must be working in aviation-related research or technology. “If you had a Growth Zone designation, all those empty warehouses in Egg Harbor Township off Delilah Road and possibly the racetrack site (in Mays Landing) would qualify,” Formica said. He said businesses such as freight companies and other types of tech companies might then move into the one-mile radius zone. Whelan said he worked with sponsors of the Economic Opportunity Act of 2014 to get the airport and a mile out from its perimeter designated a special aviation district. That allowed mega projects at the airport to qualify for the same level of tax credits and other incentives as Garden State Growth Zones. The 2014 legislation set rules for all of the state’s economic development incentive programs, administered by the NJEDA. It added Atlantic City to the list of GSGZs in addition to Camden, Trenton, Passaic and Paterson. It also set up incentives, though at a lesser level than GSGZs, for projects in the eight southernmost counties of the state. Political realities will get in the way of giving the airport that status, Whelan predicted. It would only ignite similar requests from all over the state, he said. But Formica said the airport’s role in the FAA’s unmanned aircraft systems research and testing in the state will make it easier to argue that its situation is unique. A New Jersey-Virginia partnership that includes the William J. Hughes Technical Center was one of six UAS sites chosen by the FAA in 2013. The bleak economic reality Atlantic County faces, with the nation’s highest housing foreclosure rate and 102,000 of 275,000 residents on some type of assistance — including 48,000 on food stamps — also gives it more of a chance of winning that designation, he said. The high cost of doing business in New Jersey, including construction costs, means businesses leasing space must pay higher rents. Only substantial tax incentives can overcome it, Formica said. Rents are lower at competing research and test sites for unmanned aircraft systems in other states, Formica said. Other states selected by the FAA include Alaska, Nevada, New York, North Dakota and Texas. Formica said he has discussed his idea with state Senate President Steve Sweeney, D-Salem, Gloucester, Cumberland, and state Sens. Jeff Van Drew, D-Cape May, Cumberland, Atlantic, and Jim Beach, D-Camden, as well as some Republicans, he said. They have expressed support for the idea but are still researching how it might be done, Formica said. “Certainly anything that brings jobs, money, businesses and economic energy into deep South Jersey is something I support,” Van Drew said Wednesday. The state has made exceptions before — specifically, allowing casino gaming in the resort, Van Drew said. “It’s a heavy lift, but shame on us if we didn’t try,” he said. Garden State Growth Zones are now only in cities with severe economic challenges. It would take state legislation to change that, said NJEDA spokeswoman Virginia Pellerin. But Whelan said it was difficult to get Atlantic City itself included as a GSGZ, with some lawmakers convinced the city’s gaming revenue is still too high for it to be included. Dominic Yannuzzi, who serves as director at Hazleton Regional Airport, recently passed a certification exam that moves him a step closer to securing accreditation with the American Association of Airport Executives, according to Mayor Joseph Yannuzzi. Founded in 1928, AAAE is the world’s largest organization committed to the advancement of aviation professionals throughout the world. It certifies professionals worldwide who demonstrate the ability to handle the responsibilities of airport management, regardless of airport size. Training focuses on airport finance and administration, Federal Aviation Administration rules and regulations, planning, construction, environmental issues, commercial air service, operations, communications and other subjects. The mayor said that during Dominic Yannuzzi’s tenure as director, airport revenues increased more than 20 times and the airport operated with a surplus, according to the mayor. The airport director also arranged for reimbursement of airport funds to the city according to FAA regulations, recruited certified and experienced aviation employees, initiated an aircraft fueling quality control program, acquired vehicles, equipment and $2 million in aviation-related grants, oversaw hangar and tenant development as well as airport re-branding, and secured MedEvac and Verizon as airport tenants, the mayor said. Other accomplishments include terminal renovations, airfield maintenance, obstruction removal to increase safety for aircraft and surrounding communities, initiating a runway safety area project, fence repairs, and initiating donation/volunteer programs. “These efforts have realized a self-sufficient airport that absolutely took the previous burden off the taxpayers of Hazleton,” the mayor said. Calhoun’s Tom B. David Airport is in the midst of a new expansion and has partnered with an air taxi service that operates the largest fleet of on-demand Cirrus aircraft. 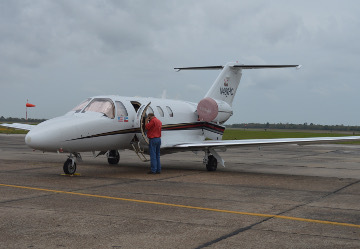 The facility, also known as the Calhoun-Gordon County Airport, will begin offering regional flights to hundreds of cities across the Southeast, thanks to a partnership with ImagineAir, a leading on-demand air taxi service. “As is, the airport adds variety to our community’s economic base through local manufacturing industries. An opportunity exists to expand upon the existing operations of the airport to further support local tourism, law enforcement, medical transportation and further manufacturing needs,” said Calhoun City Councilman David Hammond. According to a press release, the new partnership with ImagineAir will give residents of Gordon County and surrounding areas quick, convenient and affordable access to cities across the Southeast. Tom B. David Airport ranks seventh in the state of Georgia in the number of planes based at the airport, with 108. 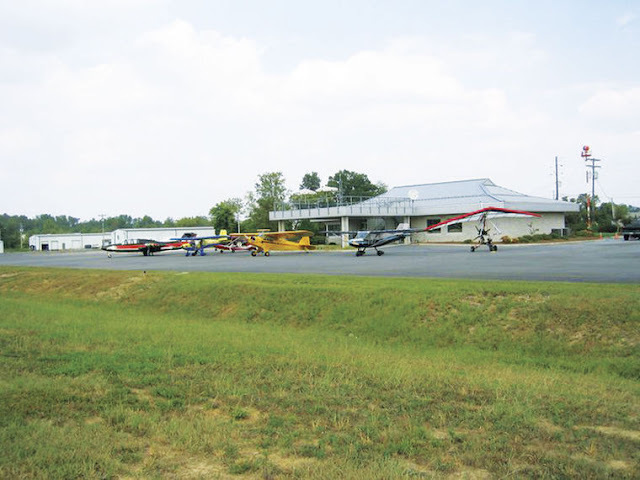 The airport, located off of U.S. Highway 41 South in Calhoun, has seen major improvements since the late 1990’s, which has included two runway extensions, extending the runway to its current 6000 feet and the addition of a new terminal. A new primary project of the airport being developed is a new, parallel taxiway from the terminal area to the north runway end. The Federal Aviation Administration and Georgia Department of Transportation are supporting the project given the based aircraft and activity level of the airport. The project will provide safer operations, eliminating the need to back taxi on the runway. The project also allows for the inclusion of additional space for hangar development along the new taxiway. This will provide new opportunities for larger corporate hangars and allow the airport space to double the based aircraft capacity over the next 20 years. Projects at the airport have been executed by The Lead Edge Design Group, an engineering and planning firm specializing in airport project design and construction. Lead Edge has been involved in over 500 airport projects at over 50 airports and has won the Georgia Airports Project of the Year Award multiple times. Phil Eberly, President of Lead Edge, has been involved in the projects at Tom B. David Airport since the late 90s. “The new parallel taxiway project is incredibly positive in that it improves safety while increasing economic impact through the creation of the additional hanger area,” said Eberly. GALESBURG — A Beech V35B Bonanza forced landed in a cornfield off 1750 Knox Road Friday night after the engine seized. Sgt. Brian Brady of the Knox County Sheriff’s Department said a Beech V35B Bonanza carrying two Hannibal, Missouri men landed in the cornfield on the 1400 block of 1750 Knox Road North, and both men walked away uninjured. Brady said the engine seized while Curtis Burton and Quinten Bieneik, and after the emergency landing a small hole was found in the engine. Brady said he believed the men were heading back to Hannibal. Aside from the engine, there was damage to the plane’s propeller but the cornfield had already been plowed and no other damage was reported. Brady said the Knoxville Fire Department and Galesburg Hospitals Ambulance Service responded to the scene Friday night. Also, the Federal Aviation Administration investigated the incident Saturday. The Knox County Sheriff’s Department responded to the scene of a downed plane yesterday evening near Knox roads 1750 North and 1350 East. Sergeant Brian Brady says the aircraft pilot and passenger – the sole occupants on board – were unharmed. Officers responded after 6:30 p.m. yesterday. Traffic to Knox Road 1750 North was blocked briefly. Brady says the Beech V35B Bonanza appeared to experience catastrophic engine failure leading to the emergency landing in a harvested cornfield just east of the Maxey Chapel outside of Oak Run. The plane was over the chapel when trouble began. Unable to clear the 30 miles between Maxey Chapel and the Galesburg Municipal Airport, the pilot brought the plane to a safe landing in the nearest clearing. The pilot and passenger, who did not wish to be identified, said they had come from Hannibal, Missouri and were returning there at the time of the crash. No significant damage was observed to the aircraft. 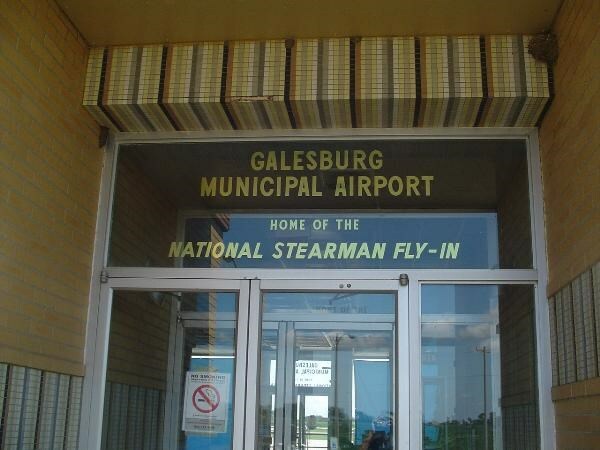 GALESBURG — An unmanned airplane struck a closed hangar Wednesday at Galesburg Municipal Airport, causing damage to the plane, the hangar and another plane. Around 5 p.m., Brian R. Vallero, 20, Galesburg, was on the runway with his Piper J3C-65 Cub using prop starter to try to make the plane safe for storage, police reports said. The aircraft began to roll forward, and Vallero was unable to stop it. The plane rolled off the runway, veered forward down a path to a closed hangar. The aircraft struck the hangar and came to a stop. Vallero’s plane had damage on the right and left wings and a cracked front windshield. The damage was estimated at $1,500. A large dent in the hangar door was estimated at $1,000 in damage, and a second plane was also damaged. 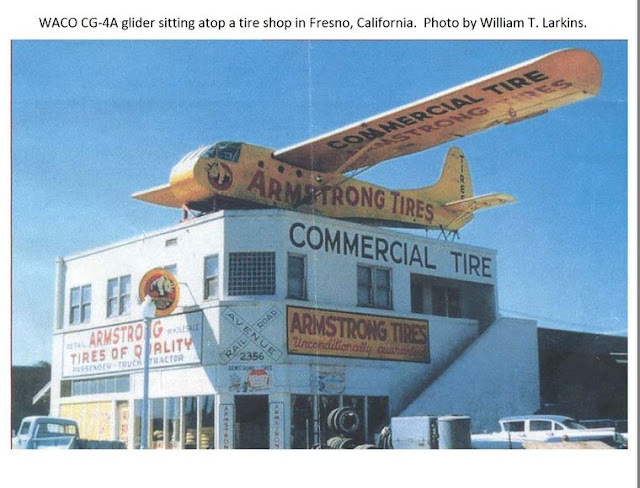 A 1950s photo taken by William T. Larkins shows a retired WWII-era WACO CG4A glider used as a rooftop advertisement for a tire shop in Fresno, California. Clent Breedlove started training glider pilots at Finney Field on June 1, 1942, under a contract with the U.S. Army Air Forces (USAAF). Hundreds of pilots, ground crewmen and employees worked, trained, and lived there during the war. David A. Allen Jr. was born in December 1920 in Poynor, Texas, which is located in Henderson County southwest of Tyler. He is almost 95 years old today. On Oct. 17, 2015, he gave an interview about his time training as a glider pilot in WWII. Allen grew up in Poynor and attended school there but he had to drop out of high school after ninth grade to go to work on the family farm to help during the Great Depression. His father grew corn and cotton. He stayed out of school and worked for one year before returning. He then went through the 10th grade in Poynor before he had to drop out again, this time for two years. Allen was in the Civilian Conservation Corps (CCC) for a brief time in the mid-1930s. His CCC camp was located in California, but he did not recall much about his time there. He eventually graduated from high school, but not at Poynor. By that time his family had moved to Terrell, Texas. He graduated from Terrell High School in May 1940. The passing grade to graduate was 75. which Allen said he met. Allen did not realize it at the time, but his new hometown of Terrell would one day be the original home of the National WWII Glider Pilot’s Museum. According to information found on the Silent Wings Museum website, former glider pilots from WWII came together in 1971 to form the National World War II Glider Pilots Association, Inc.
One of their first goals was to locate a WACO CG-4A glider. They found one which was sitting atop a tire store in Fresno, California. It was being used for advertising. They purchased the glider and restored it in time for their 1979 reunion, held in Dallas. After the reunion, they decided to build a museum to house and display this glider. They opened the first Silent Wings Museum in Terrell on Nov. 10, 1984, according to the SWM website. David Allen thinks Terrell was chosen as the site for the museum because that was where many British airplane pilots trained during the war. By 1997, however, the former glider pilots realized that they needed a more permanent place for their museum. South Plains Army Air Field (SPAAF) in Lubbock was the largest advanced glider base during WWII and where almost all of the glider pilots earned their “G-wings.” So this locale was determined to be the best place to move Silent Wings Museum, which opened there in October 2002. Allen joined the U.S. Army Air Corps (USAAC) in February 1941. He was sent to Santa Monica, California, and was stationed at a civilian aircraft mechanics school at the municipal airport. This civilian school was operated under contract with the U.S. Army Air Forces. At this time, Allen’s rank was private first class. He and his fellow mechanics were quartered at a hotel in Santa Monica. On Sunday morning, Dec., 7, 1941, Allen recalled being at the hotel in Santa Monica when he heard that the Japanese had bombed Pearl Harbor. Allen was stationed at the mechanics school in Santa Monica from October 1941 to April 1942. Next, Allen was sent to an army base in Santa Ana, California, where he was re-assigned to pilot training, but did not do any actual training there. Santa Ana was just a holding center where men were placed until given new orders and posted at a new field. Hemet, California, was Allen’s next post. It was a civilian school owned by Ryan Aviation of San Diego. Ryan Aviation was famous for building the high-wing monoplane named the Spirit of St. Louis which was flown by Charles Lindbergh non-stop across the Atlantic from New York to Paris on May 20, 1927. Allen never flew in an airplane during high school back in Texas, and he never envisioned himself as someday being a pilot. Although he knew who Charles Lindbergh was, Lindbergh was never one of his childhood heroes. So his time training as a pilot at Hemet was his first experience flying an aircraft. At Hemet, the instructors were civilians and wore civilian clothes, said Allen, but he did not recall any of the instructors referring to the program as the Civilian Pilot Training (CPT) program. They used the Ryan PT-22 aircraft for training at Hemet at the local airport. Ground school was held in the morning and then in-flight training was given in the afternoon. After a few weeks, this schedule was reversed. Mr. Haynes was Allen’s instructor. Four students were in each instructor’s group. Allen did recall the name of one of his fellow students at Hemet. Traver was his last name but Allen could not recall his first name or his hometown. Allen thought there were around 25 PT-22 aircraft there for training. The Ryan PT-22 is a low-wing monoplane tandem trainer which means that the student was seated in the front and the instructor was seated behind him. The student and instructor used a Gosport tube for communication while flying. The Gosport tube provided one-way communication. The Gosport tube looked like a long stethoscope used by a doctor. The student would put on a cap which had two ear pieces. The ear pieces were connected by flexible tubes to a single mouthpiece in which the instructor would speak the commands to the student pilot, but the student could not speak back to the instructor. “If you misbehaved, he put the speaker out in the air,” Allen chuckled. By this, Allen meant that the instructor would point the mouthpiece into the oncoming air outside of the cockpit which resulted in the student receiving a blast of noise and high air pressure in his ears. Allen soloed in a PT-22, as well. He did the usual training maneuvers: climbs, banks and turns. When he finished training at Hemet Field, he was still a private first class. He then went to Bakersfield, California. It was there that he learned of the glider program. The Army Air Forces encouraged Allen and many of his fellow powered pilots to become glider pilots, so Allen decided to try flying gliders. Allen’s next stop was Plainview, Texas, for pre-glider school. He arrived in Plainview around the first of July 1942. He and his fellow students travelled there by rail from California. The military paid for all of their travel expenses including their meals aboard the train. Allen and the other student glider pilots would give their meal tickets to the leader of their group and he, in turn, would give them all to the dining car conductor. Allen was mighty impressed with Plainview, Texas. “The people were real cordial, too,” recalled Allen fondly. Readers are asked to visit the Silent Wings Museum website at www.silentwingsmuseum.com for more details about the glider program of WWII. 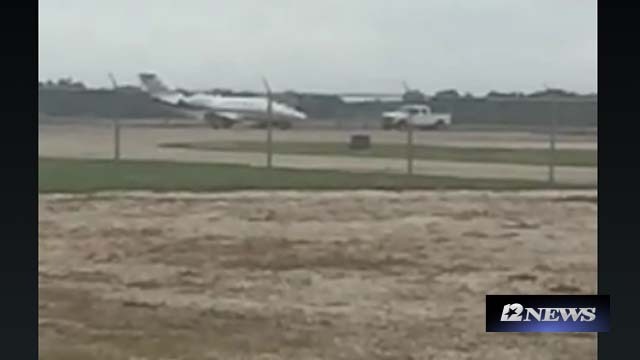 A Mississippi woman returning home following a memorial service in the area is safe after the private plane she was traveling in was forced to make an emergency landing Friday afternoon. The Cessna 525 CitationJet CJ1 had taken off from the Jack Brooks Regional Airport and was forced to turn around when the plane began experiencing possible engine problems. The lone passenger, Sarah Cheek, flew into the area for a memorial service on Friday and was returning back home to Kosciusko, Mississippi, she said. Alex Rupp, manager of the Jack Brooks Regional Airport, said the incident occurred shortly after 3 p.m. The airport’s fire department responded which is standard protocol. Nederland Fire Department also responded and was on scene before the plane landed safely, Gary Collins, Nederland Fire Chief, said. Las Vegas, NV (KTNV) - A warning about part of the Allegiant Air fleet. A warning that experts say should have gone out, but didn't. Tonight, Contact 13 Chief Investigator Darcy Spears continues her coverage of Las Vegas' hometown airline, and why passengers say they're now afraid to fly. For months, Contact 13 and media across the country have been reporting on the series of serious incidents with Allegiant airplanes. The most serious on August 17 when the nose of a Las Vegas to Peoria, Illinois plane rose prematurely before it was safe to fly. Pilots lost control after an elevator boost actuator in the tail became disconnected. They had to cut power to the plane and abort takeoff at 138 miles per hour. "Any time you have a flight control malfunction, whether it's on the ground preparing for takeoff or actually taking off, that is a major deal," said former National Transportation Safety Board member John Goglia. Goglia investigated crashes due to primary flight control system malfunctions. He recalls an accident in Sacramento, "where we actually lost a DC8, which is a very big airplane, because a mechanic failed to secure one nut on the elevator system." In the wake of the nose-up incident in Las Vegas, Allegiant said it inspected its entire MD-80 fleet to ensure the flight control systems were working properly. They said all aircraft were found to be in working order. But insiders showed Contact 13 maintenance records on three planes that proved otherwise. Two issues were discovered before Allegiant claimed all was well and the third just days later. Two planes had problems with nuts either missing or improperly secured on the elevators--panels in the tail which make the plane go up and down. The third aircraft was missing a nut safety cotter pin on a wing in a panel that's used in turns. "They were not in a condition for safe flight. They were not airworthy! All three of those airplanes." That's exactly what worries Kelly Olson. "Until I feel more confident in their safety, I will not be flying with them with my child." The first-time mother was a frequent Allegiant flyer who now questions her family's safety in the sky. "Knowing that and knowing the history, especially recently, was very concerning to me." Contact 13 learned it's not just the three planes in August that had issues with elevators. Another internal maintenance record shows in April, 2013, an Allegiant flight had to "return to field due to elevator problem." Darcy Spears: The mechanic wrote, "cotter pin missing from elevator actuator rod." John Goglia: Oh my God! I mean, it just gets worse and worse. And that was in 2013? John: This gives every appearance of an extremely troubled maintenance program. Passengers who've reached out to Contact 13 are increasingly troubled by Allegiant's maintenance issues. Email after email detail stories of delays, flight cancelations, aborted takeoffs and emergency landings--all due to mechanical issues with the planes. Darcy Spears: So your message to them would be what? Kelly Olson: Please, take your passengers' safety as a priority before something bad happens. Allegiant refused to talk to us for this story. They've accused us of lacking objectivity and distorting facts. Insiders say the airline is trying to cover up and downplay problems, putting profit over passengers. The FAA intensified its focus on certain areas of Allegiant Air’s operations following events last summer in Fargo, N.D., and Las Vegas. The events in question were a low-fuel landing in Fargo and an aborted takeoff in Las Vegas. The FAA intensified its focus on the carrier’s flight operations and aircraft maintenance programs. Flight operations includes crew training, checks and qualifications, among other things. The FAA is aware that Allegiant discovered issues with elevator assemblies on two aircraft when it inspected its fleet following the rejected takeoff in Las Vegas. Carriers are not required to immediately report individual inspection findings to the FAA. They are required to capture the findings in their quarterly Continuing Analysis and Surveillance Systems (CASS), which they review internally and share quarterly with the FAA. TEHRAN (Tasnim) – German airline Eurowings plans to launch a new route to Tehran following the recent nuclear deal between Iran and major world powers. Lufthansa Group’s low-cost subsidiary, formerly known as Germanwings, will start a weekly service from Cologne Bonn airport on March 29, which will double to twice per week from May 6, Buying Business Travel reported on Friday. The route will initially operate on Tuesdays and Wednesdays, and then be extended to Fridays and Saturdays. The outbound service will depart Cologne Bonn at 21.05 to arrive at Imam Khomeini International Airport at 04.40 the next day. The return service will leave Tehran at 06.25 and land in Germany at 09.25. Eurowings plans to use an Airbus A330 on to the route. Fellow Lufthansa Group carrier Austrian Airlines last week announced it will add a second service on to its Vienna-Tehran route next year. Iran and the Group 5+1 (Russia, China, the US, Britain, France and Germany) on July 14 reached a conclusion over the text of a comprehensive 159-page deal on Tehran's nuclear energy program. Once implemented, the Joint Comprehensive Plan of Action (JCPOA) will terminate all nuclear-related sanctions imposed on Iran. Caribbean airline WINAIR is embarking on a major expansion push, the carrier announced this week. In its initial push, the St Maarten-based carrier has announced plans to increase frequency of flights to St Kitts, Nevis and Tortola in the British Virgin Islands. The company is also adding two new destinations to its network: San Juan and Antigua. The company additionally announced the acquisition of a fifth DHC-6-300 aircraft “which will expand our fleet and charter business within the north-eastern Caribbean,” the company said in a statement. WINAIR’s Tortola flights will resume daily operation Dec. 15, with the addition of a midday flight and a total of six frequencies per week. 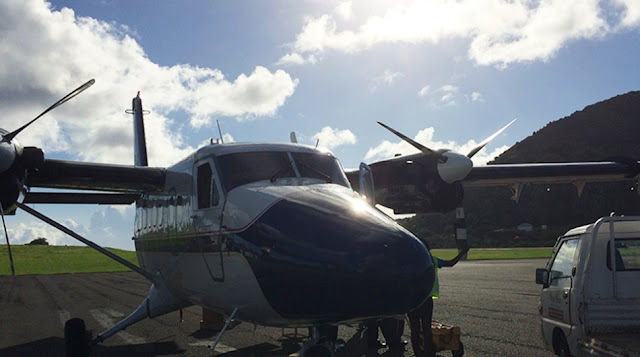 The St Kitts and Nevis flights will mean splitting St Kitts and Nevis flights to single direct flights, operating five times weekly and operating two days a week as combined flights, both of which will begin Nov. 30. In December, WINAIR will add a daily midday frequency from St Maarten to St Kitts and Nevis. Beginning Nov, 28, WINAIR and its partner, Air Antilles, will launch service to San Juan on ATR-500 aircraft; St Maarten-Antigua flights will launch begin with daily service, seven days a week starting Dec. 15. One day a drunk walked into a bar and ordered a gin and tonic. He drank half of it and, without any warning, poured the rest on the bartender. The bartender got very angry, grabbed the drunk by the collar and demanded, "Why did you do that?" The drunk said very apologetically, "I am so very sorry, sir. Please forgive me. I can't help it. It's an illness I can't get rid of. I am so ashamed of it. How can I make it up to you?" The bartender answered, "Haven't you seen anyone about this problem? You need psychiatric help." The drunk replied, "I never thought of that. Maybe I will." The bartender insisted, "Don't come back until you get help," and the drunk left. About three months later, the drunk came back to the same bar, ordered another gin and tonic, drank half of it, and poured the rest of it on the bartender. The bartender shouted, "I thought I told you not to come back until you got help!" The drunk replied, "I did. Now I don't feel ashamed." I have a feeling that Caribbean Airlines Limited (CAL) went to the same shrink. In fact, thinking about the way a former chairman of the predecessor airline, BWIA, supposedly and unapologetically kept a plane waiting for hours on the tarmac so he could visit his paramour in New York, and what happened to me on a flight that the pilot tried to bump me off to accommodate his family, I get the feeling that they not only never saw a shrink but never felt the need. What all the various incarnations of the airline and all its managers, bosses, boards and big shots have in common is the lack of shame. In these days of remakes, I think of doing a new version of the old Alan Ladd-Jack Palance western movie, 'Shane', but changing the name of the hero to 'Shame'. In the end, the tow-headed Brandon De Wilde replacement chases the horseback hero shouting, "Shame, come back, Shame," and I would send it to CAL, not for the entertainment of its passengers but for the education of its staff and managers. The most recent reason for this is the proud boast all over the Internet and the regional media by CAL that for the fourth year in a row, it has been named the Caribbean's Leading Airline, at the annual World Travel Awards function. It is like the West Indies cricket team playing a series against Guatemala and Honduras, being declared the tournament champions, and boasting to high heaven about it. Is this is as shameless as you can get? Actually, no. If you want real shamelessness, and if you want to explore the deepest depths of shamelessness, the statement by CAL takes the cake, ice cream and all the condiments. Hear this: "Accepting the award on behalf of the airline, Alicia Cabrera, senior manager, marketing, shared, 'This fourth win really cements our position as the region's premier carrier. That the category is judged based on travel industry professionals voting makes it even more prestigious, as our customers and travel-agent partners clearly recognize the tremendous effort put forth by the staff to make each flight special.'" Yeah, right! Who is the competition that CAL beat so soundly four times in a row? Leeward Islands Air Transport (LIAT), an airline that has no jet planes, is bankrupt, no gas subsidy and no oil money to fund its losses. There is something called Cape Air, which operates in Puerto Rico and the Virgin Islands and is not to be confused with Virgin Airlines. There is Winair, which operates five de Havilland Twin Otter aircraft and one ATR42-500 aircraft between 11 destinations. Then we have Air Sunshine, which flies to Puerto Rico, Vieques, etc. There are also Bahamas Air, Air Caraibes, Cubana, Fly Montserrat and Air Turks and Caicos. So when CAL boasts and beats its corporate chest, it should change its name to Hot Air. The fact that the awards are by 'travel industry professionals' and not travellers is important. Last Wednesday morning, about 6:45, I went into CAL's Tobago terminal (at Piarco Airport) and saw, really heard, about six CAL employees gathered in their own extremely noisy corner of the departure area carrying on loudly, shouting raucously and totally oblivious to the fact that there were other people, clients really, hearing and watching them waste time. If there were supervisors around, they were part of the 'lime'. This went on until it was almost departure time, and then they slowly and reluctantly disbanded to their jobs, which they performed in a thoroughly lacklustre fashion, nothing even close to the animation and joie de vivre they displayed when they were together. Perhaps the World Travel Awards should send its founder, Graham Cooke, on a mystery-shopper exercise to Trinidad. Then he would have to eat his words that CAL is 'truly worthy' of its awards. It is true that in the country of the blind, the one-eyed man is king, but it would be better to have an award for excellence rather than for being the best of a bad lot. What I would also like Cooke to experience is what happened to me when I accepted CAL's invitation to check in online. What I repeatedly got was, "SSL server probably obsolete. ERR_SSL_FALLBACK_BEYOND_MINIMUM_VERSION. Unable to connect securely to the server. This website may have worked previously, but there is a problem with the server. Connecting to such sites weakens security for all users and thus has been disabled." Even the server refuses to provide good service and does it without any shame at all. Tony Deyal was last seen saying that the only award he is prepared to give CAL is named after its CEO and known as DiLollo Prize. An undated handout photograph from the Islamic State ‘Dabiq’ magazine shows, according to IS, the components that were used to build the bomb that brought down a Russian passenger jet in Egypt last month. BEIRUT—Islamic State on Wednesday released an image of the alleged improvised explosive device, or IED, it said it used to bring down a Russian jetliner over Egypt. The group’s claim couldn’t immediately be independently confirmed. Islamic State’s Egyptian branch, Sinai Province, claimed the crash hours after it took place​ on Oct. 31, killing all 224 people aboard​ shortly after takeoff from the Red Sea resort city​. On Tuesday, Russian officials said they had evidence that the jet had been downed by a bomb. “We can definitely say that this is a terrorist attack,” said Alexander Bortnikov, the chief of Russia’s Federal Security Service. U.K. Prime Minister David Cameron has said that there is a strong possibility the plane was brought down by terrorism. Russia was targeted after it began air strikes over Syria in late September in support of President Bashar Assad, whose regime Islamic State opposes, it said. “A bomb was smuggled onto the airplane, leading to the deaths of 219 Russians and 5 other crusaders only a month after Russia’s thoughtless decision,” the magazine article added, using the group’s name for citizens of the countries that are fighting it. The photo published in Dabiq Wednesday shows a can of Schwepps Gold Pineapple, a drink found mostly in the Middle East, alongside what the publication said was a small explosive. 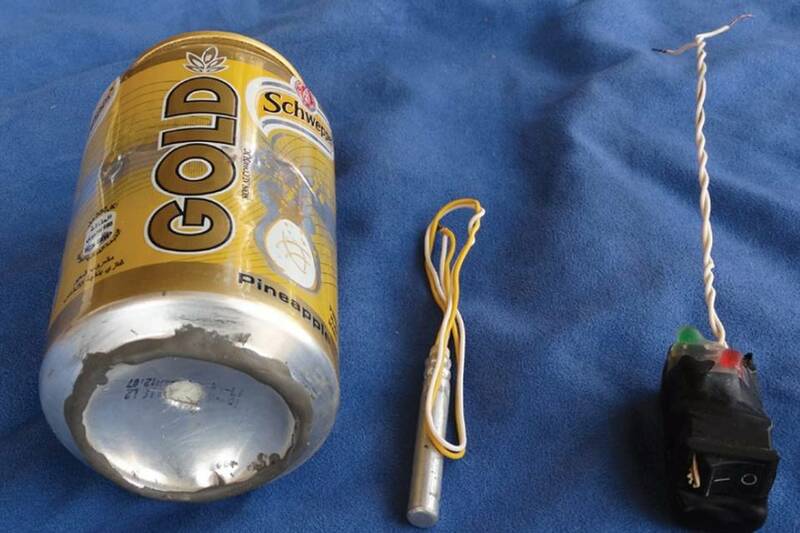 The placement could indicate that the bomb had been hidden in a drink can. Another photo shows passports allegedly belonging to three Russians who were killed in the crash. The cancellation of Fly Africa’s operating license could just be a tip of the iceberg in financial impropriety and fraud, as rival board members trade accusations that money was being siphoned out of the country. The airline’s former chief executive, Chakanyuka Karase, claimed Fly Africa failed to remit $1 126 234 to the Civil Aviation Authority of Zimbabwe (CAAZ), saying the arrears arose as a result of externalization of funds by the company’s foreign partners. An affidavit signed by Karase on October 22 indicated initial investigations showed that partners from Fly Africa Limited of Mauritius made arrangements through Stanbic Bank Samora Machel Avenue Branch for Internet transactions. “Our partners from Fly Africa Limited of Mauritius, from whom we leased the aircraft, had made arrangements through Stanbic Bank, Samora Machel Avenue Branch, Harare, for Internet transaction banking, which arrangements enabled them to move funds electronically from the Zimbabwean Bank accounts with Stanbic Bank Limited Samora Machel Avenue Branch, to foreign bank accounts without anyone’s knowledge with the exception of the bank,” he said. This came as Karase issued a request to freeze the bank accounts under the name Nu-Aero (Private) Limited trading as flyafrica Zimbabwe in a letter dated October 22. “In good faith, I allowed the following to be signatories to the accounts namely Adrian Hamilton-Manns and Mike Bond on some accounts and Matipedza Karase on others. “However, it has come to my attention that Messrs Adrian Hamilton-Manns and Mike Bond have been externalizing funds banked into local accounts by sweeping account balances to foreign bank accounts,” he said. Prior to that, Karase had on September 14 received a reminder from CAAZ about the arrears. “We hereby advise and give formal notice that your aircraft movement are not promptly paid for resulting in arrears amounting to $1 396 119,25 as at 14 September, 2015,” part of the letter written by the CAAZ read. In response, Hamilton-Manns queried the stated figures, which CAAZ confirmed in a follow-up letter that same day. Hamilton-Manns agreed to pay the arrears through a $15 million fund made available by Fly Africa international investors fronted by Gabon President Ali Bongo Ondimba, Gabon Investment Fund and Ivor Ichikowit. However, it later turned out that the correspondence between CAAZ and Hamilton-Manns contravened CAAZ regulations, as all communication was supposed to go through Karase as the accountable manager. Karase was relieved of his posts of CEO, chairman and accountable manager in a board resolution authorized by acting company secretary Bond on October 27. Yesterday, flyafrica.com in a statement said it had laid fraud and theft charges of over $140 000 against a family member of their local partner in Fly Africa Zimbabwe. 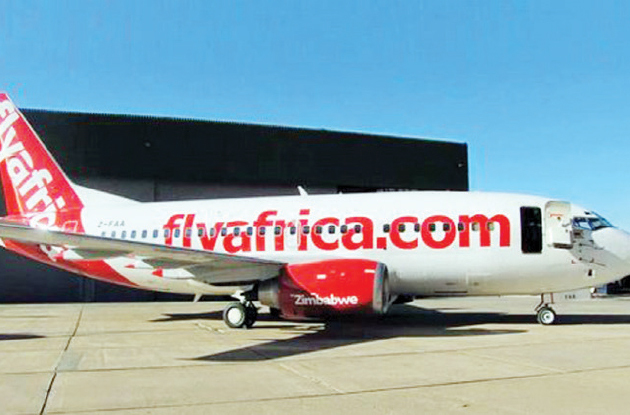 Fly Africa claimed they suspended a Zimbabwean partner for breach of directional and fiduciary duties and the unnamed person reportedly “illegally and unilaterally attempted to surrender our Air Operator Certificate” to CAAZ. The airline said it was seeking a solution and hoped to be back in the air yesterday. However, a CAAZ official said once the certificate had been surrendered, the airline had to make a fresh application for a new one.